3 Orchard By The Park is a property is nearby some of the most elegant residential projects and several luxury hotels. The building is strategically located slightly away from the crowded areas of the Orchard Road so that residents can have a peaceful accommodation. The most attractive part about the property is the entrance lane is lined with lush greeneries. Orchard By The Park @ Orchard Boulevard is located at 15 Orchard Boulevard in District 9, Singapore. There are several facilities for making the accommodations of the residents as comfortable as possible. The clubhouse and function rooms can be used for various recreational activities as well as social gatherings. The sundeck can be used for a relaxing day outside. There is a huge playground on the premises. It can not only be used by the kids but also to organize many sports events. The adults use it for jogging, walking or early morning yoga sessions and health club meetings. There is also a jogging track specially built for people who enjoy walks and runs every day. Many social functions are organized here on a regular basis. Security is prioritized so that residents can feel safe and secured in their homes. There is a twenty-four hours security and guardhouse provided to make sure that the safety of the residents is not compromised. Guarded personals do not allow any unauthorized intrusion and the strangers are thoroughly checked. The carparks are big enough to accommodate all the vehicles of the residents and are well covered to protect them from the natural elements. 3 Orchard By The Park- Accessibility. The property is located in vicinity to the most significant commercial and business areas of the country. So it is evident that transportation is easily available and the property must be well accessible. There are several major highways nearby, and public transportation is available anytime. There are at least eighteen bus stops and two taxi stands in the proximity. Some people need to commute daily and are unable to use public or private transportation for various reasons. 3 Orchard By The Park- Amenities and Attractions. The property is surrounded by several amenities that make the lives of the residents such easier. There are several historical places worth visiting nearby as well as malls, restaurants, hospitals, banks, and schools. The Tanglin Mall and the Camden Medical Center are all in the neighborhood. It is close to Orchard Road that offers a vast array of entertainment activities like clubs, restaurants, cinemas, supermarkets and retail outlets. The Fort Canning Park is in the vicinity of the Orchard Road. It since located at the center of the city and yet is known for its lush and green space. This historical landmark has plenty of unusual plants and walking trails. This also houses the Battle box which is an elaborate underground tunnel and a remnant of the Second World War. Other places of interest are the Emerald Hill Road, Spa Espirit at Paragon and the Picture house. 3 Orchard By The Park- Project Information. The condominium is a freehold development that was completed in the year 2011. The total area of the property is 62, 179 sqft. There are three residential blocks of twenty-five story tall. There are a total of eighty luxury apartments in total. There are two, three and four bedroom units. Each unit has a customized floor plan, interiors and a view of the lush landscape. The interiors are designed by the Italian designer and architect Antonio Citterio. The selling price is at S$ 4000 per sqft which is reasonable considering the prime location, amenities and the facilities it is offering. 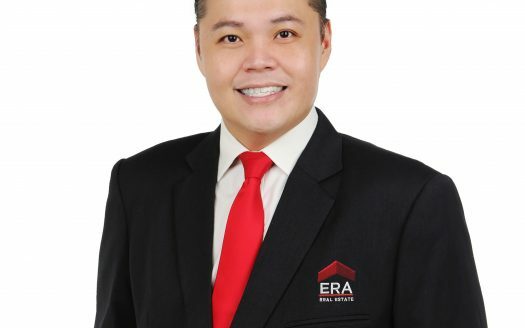 Developer: YTL Westwood Properties Pte Ltd.